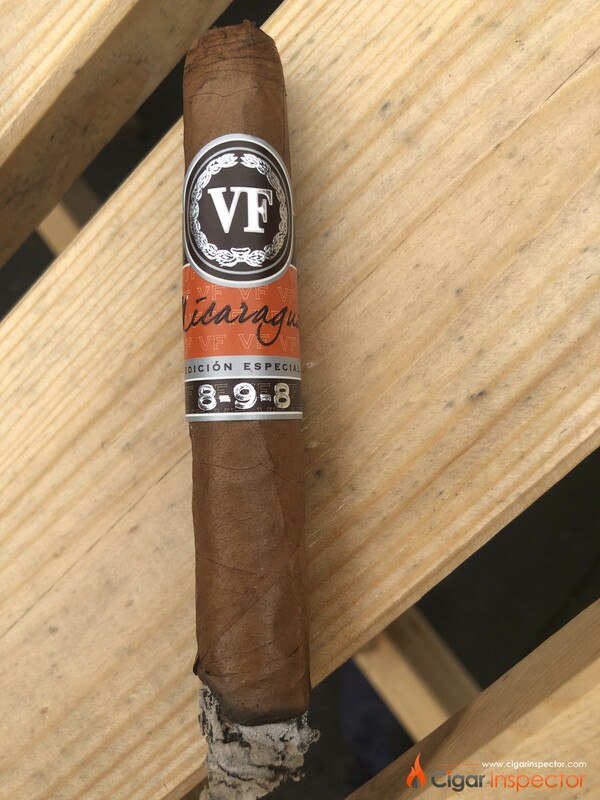 I have been enjoying Nicaraguan cigars lately. They can be very rich and powerful developing lots of flavours. The blends are getting more and more complex for our enjoyment. The short and fat module trend is a reality but thanks god some Marcas keep on bringing to the market elegant and thin ring gauge cigars, reminding us of the old school style. As expected by a new world cigar, the pre draw was perfect. The right balance between resistance and loose. I don’t like a cigar being too loose with the feeling of being undefiled. I like a bit of resistance in my draws. As briefly explained above I love this size. Thin to medium ring gauge and rather long. The same module is produced in Cuba under the Partagas 8-9-8 and is one of my all time favourite. The first aroma is very enjoyable, soft and delicate smoke. Then the density of smoke becomes very quickly strong and rich with lots of new world oak woodiness. The ash crystal white, not very strong, lightly loose and sandy. I like when the ash is structured, with lines expressing the draws and describing how you smoked it. Just like when you cut a tree and see the years accord to the layers of wood. Unfortunately in the case its more a packed loose ash forming on to of the cigar. On the palate it is strong and rich with a nice spiciness and pepperiness challenging the flavours buds. Even though I am not fan of the ash I can say anything about the burn and the draw being almost perfect. 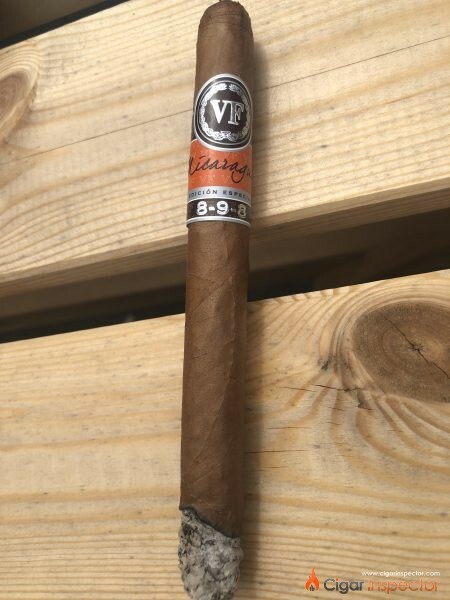 The Vega fina Nicaragua 898 is well balanced. Its finish is long with strong notes of hay. The pepperiness became very shy but still present reminding you what you are smoking is coming from Nicaragua. This leads the blend to an interesting complexity. The construction is extremely good and the tobacco used of great quality as the density of smoke is very high with an incredible aroma. It is very relaxing to have such a moment. Even better when flavours and aromas are present. I am enjoying this sweet flavours. It is a very particular sweetness. Reminding you of chocolate made of high cocoa percentage. 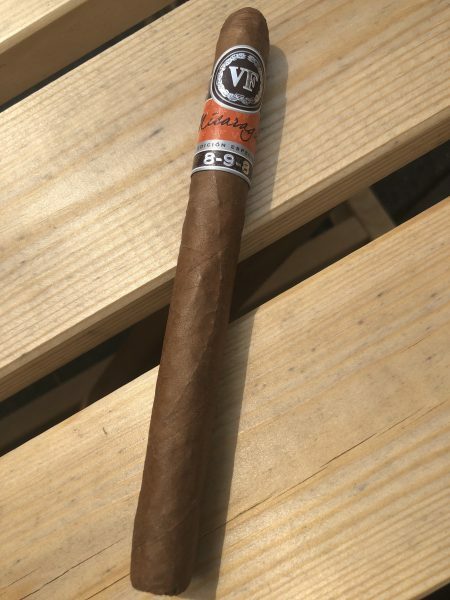 You recognise very well it is not cuban because if this slight bitterness in the back melted with a sweet wood. It is like drinking a new world chardonnay aged in new world barrels. The vanilla and coconut flavours will be much more pronounced than a chardonnay made in Burgundy. You have the same feeling with tobacco from the new world and the flavours are more distinct and pronounced than in Cuba. The cigar burns very quickly without over heating nor the feeling of being frustrated it goes down too quick. Some notes of smoked bacon linger on the palate. Once again very similar to the finish of certain wines. The flavours are rich and harmonious. The bitterness described previously is not harsh it is really all melting down on the palate. Very surprise with this new world cigar. The complexity and richness of flavours are of a serious level. Toward the end the Vega Fina 898 develops and amazing round texture with this velvet feeling, beautiful marzipan and sweet notes. Yet strong and high intensity of smokes. Make sure you eat well before enjoying this cigar as this is for sure not a smoke for a beginner. I wasn’t expected such a development.